Carrie Ogilvie has lived all her life in Harwood Maryland around the corner from Enticement Farm. She has had a love of horses her whole life and was very excited when she started riding around the age of six. Carrie graduated from Southern High School and is now working toward a degree in early childhood education. She has been working with young children at the local elementary school where she volunteers in the kindergarten classes. Carrie has had the joy of being instructed by Deana Tice and learning about horses from her. She has been working at the farm for seven years and has been teaching for six years. Carrie leased a horse named Ziggy for four years. During that time, she learned a lot and had a lot of fun showing. Carrie now has her own horse, Sonny, that she got when she was 17 and loves being able to work near her horse everyday. She also showed Sonny for a couple years after she got him. Carrie was a member of 4-H where she was able to show Ziggy and Sonny at the County Fair. 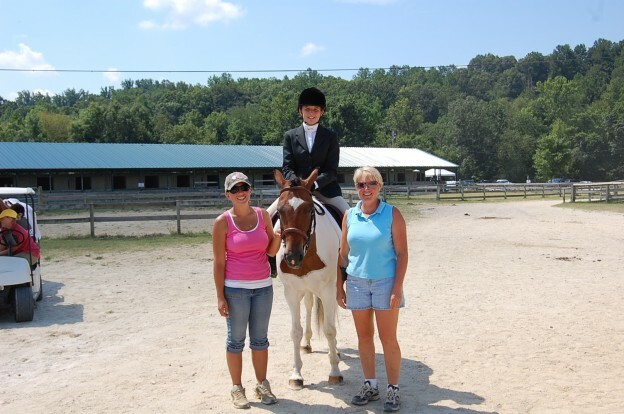 She enjoys riding, being at the barn, and working with her students. She loves to see the smiles on their faces when they have accomplished something new.